Target announced April of 2010 that they were going to roll out a nationwide recycling program in the front of each of its 1,740 U.S. stores. 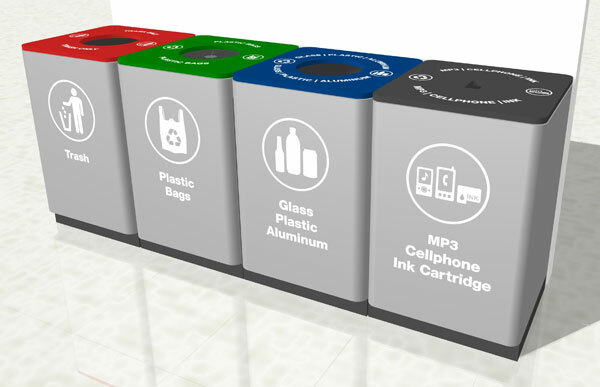 The program was divided into 4 stations: aluminum, plastic and aluminum, one for regular trash, plastic bags had its own, and the last one was for MP3 players, cell phones and ink cartridges. The goal of this program was to reduce unnecessary waste from their stores and communities. Target also has the goal of becoming a more sustainable company overall by creating efforts to reduce their environmental footprint. So how has this program performed a year later? More than 170 million shopping bags, 700 tons of bottles and cans, and almost 2 million small electronics were recycled. Target has made great progress in developing a plan that has produced this much success in only one year. Target has made an impressive commitment to becoming a more sustainable and eco-friendly company.